In stock 50 items in stock. For a long time we've had small 7-segment displays and *huge *7-segment displays, but now we finally have something in between. 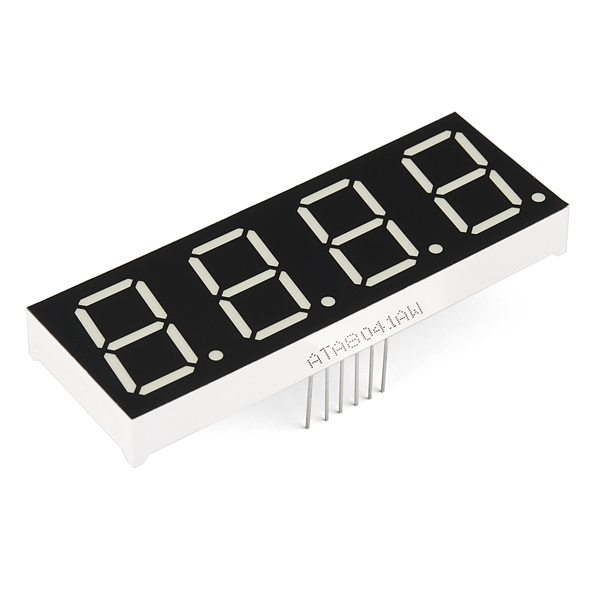 These 20mm 4-digit 7-segment displays are big enough to see from a distance but not so big that you'd have trouble finding an enclosure for them. How to hook up and use the OpenSegment display shield. 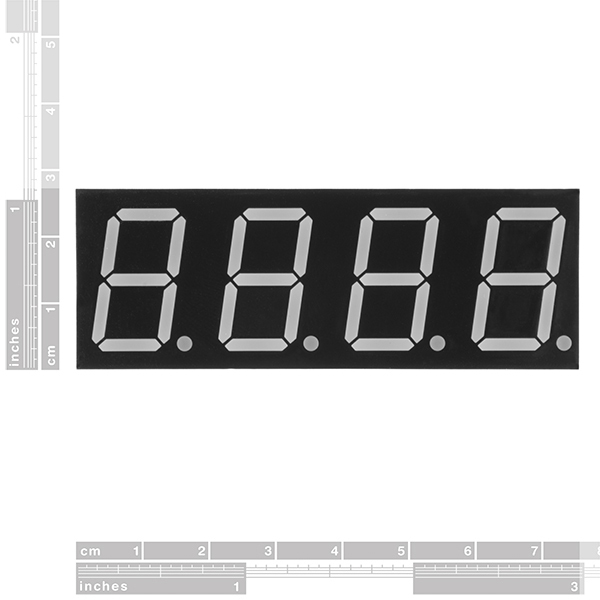 The OpenSegment is the big brother to the Serial 7-Segment Display. They run on the same firmware, however the OpenSegment is about twice as big. 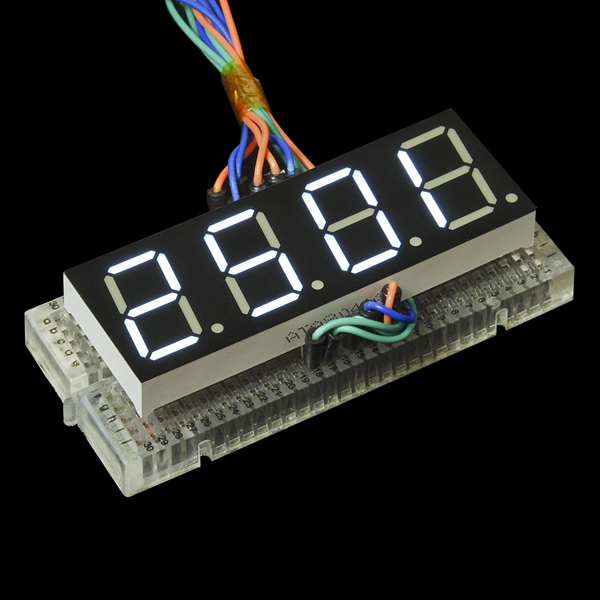 How to quickly and easily set up the Serial 7-Segment Display and the Serial 7-Segment Display Shield. I wrote a library for this. The repo also includes a schema how to connect this display. Does this exist as a Fritzing part? 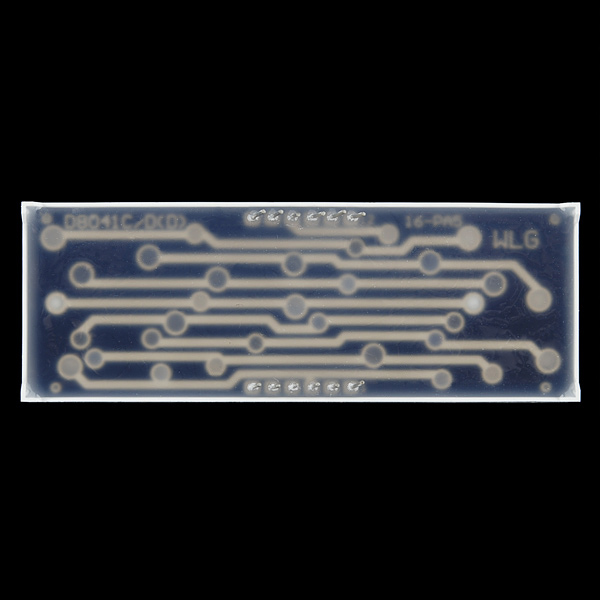 SparkFun's fritzing library at github doesn't seem to have it (or anything much at all), but give this repo a shot: github:logxen/Fritzing . It seems to have quite a few of SparkFun's products (which makes me wonder if SFE had an earlier repo somewhere and haven't gotten around to building up the new one yet) including several 4-digit 7 segment displays. I don't use Fritzing, so you may have to poke around to check. No go. Thanks though. I'm going to be using Eagle. I just find Fritzing easier to 'sketch' layouts in. I went ahead and figured out some usable specs for this display, since our given information is wrong or missing. Here's a link to the pdf. http://downloads.luxnovalabs.com/sparkfun_1_inch_7_segment_white.pdf I'm a newb, so if there's anything that needs fixing, let me know and I'll update it until we get some actual good documentation. I thought the same thing. Without the colon, there goes clock applications. Just teasing, we agree with you. This is not a 1" display; it's a 0.8" display. 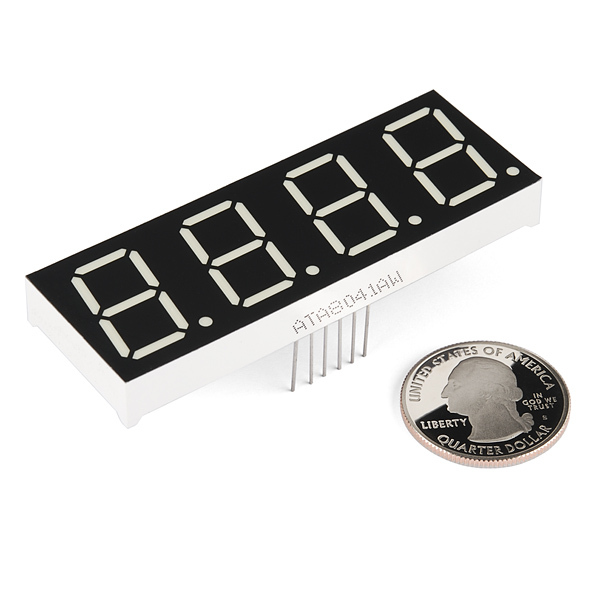 The 1" size is the overall height of the module, not the actual display.